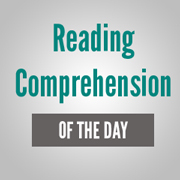 Reading comprehension involves a proof reading of a passage of about 300 – 1000 words and answering the questions that follow. Passage: For more than three years, Anna Feng didn’t tell her husband that she had sunk nearly half of their savings into the Shanghai stock market. While he thought all their money was safely sitting in a bank, the value of the stocks plunged by almost 75%. But over the past couple of months, the Shanghai market has shown signs of life, and Feng, a 56-year-old retiree, has recouped half her losses. She’s quietly hopeful that may be she’ll make it all back. “Everyone seems to be so optimistic about the markets now,” she says. Around the world, stocks have been on a tear. In Asia, for example, the Tokyo TOPlX stock index hit a 14- year high last week as a bull run in once-dormant Japan gathered momentum: Mumbai’s main equity index hit an all-time high in trading early Friday amid India’s continuing economic boom: and Hong Kong shares reached a five-year high while indices in Singapore, Jakarta and Sydney set new records. And though stock in Asia, in particular, are on fire, they are not alone. From Germany to Venezuela to South Africa, equity markets in both mature and emerging markets have moved up sharply this year-and show little sign of slowing. The underpinning for stocks’ strong performance, global bulls say, is straight-forward. Economic growth continues to be strong in places where it has been buoyant for several years (the U.S. China and India) and is finally picking up in places where it had been notably absent-Japan and parts of “old” Europe. Moreover, earning and corporate balance sheets around the world are as healthy as they have been in years. In Japan, corporate profits have climbed for four straight years and consumer spending is rising briskly on the back of declining unemployment. Economists say that Japan is now in a golden cycle. So’, for now, is much of the world. “It comes down to very simple macroeconomics.” Says Subir Gokam, an economist at CRISIL, India’s largest credit-rating firm. “The global economy is growing without much inflationary pressure.” Is anything wrong with this picture? One very big thing, warn the skeptics. Interest rates are rising nearly everywhere, and if there is one simple adage that many investment advisers live by, It’s this: “When rates are high, stocks will die.” Indeed, one of the most impressive-or scariest-aspects of the current global bull run is that it has come in the teeth of central- bank tightening, most importantly by the U.S. Federal Reserve, which could slow growth in the world’s key economic locomotive. The Fed has increased key short-term interest rate the so-called Fed funds rate-15 times dating back to June 2004, and is widely expected to raise it once or twice more over the next few months. A brief recession and the Sept. 11 terrorist attacks in 2001 spurred a pro- ‘longed period of very low interest rates. That boosted U.S. consumption-in particular the rate-sensitive housing ‘market-and kept the global economy humming. But long-term rates are now beginning to tick upward: last week the U.S. 30-year Treasury bond reached 5.04% its highest level since late 2004, and the housing market is cooling off-potentially triggering an economic slow-down as homeowners cut their spending. According to the passage, what makes people hopeful about the markets? The trend of substantial increase in value of stocks is the correct option as this is implied from the line "Everyone seems to be so optimistic about the markets now." Which of the following is TRUE about the comparison between market indices of Mumbai and Hong Kong on the one hand and Singapore, Jakarta and Sydney on the other? The markets in both the group of countries have shown upward trend is the correct option. It is clearly mentioned in the passage’s first paragraph. What is the impact of increasing long term interest rates? (A) Demand in housing market is gradually diminishing. (B) Retardation in economic growth. (C) Restrictions imposed by central bank. The answer is none of these (a) because the retardation in economic growth isn’t mentioned properly and restrictions imposed by the central bank are on short term interest rates. In what way did the terrorist attack in the US influence the markets? It prolonged’ the low interest rate regime. The answer is directly picked from the passage. How are the interest rates associated with the stocks ? In inverse proportion ‘..Interest rates are rising nearly everywhere, and if there is one simple adage that many investment advisers live by, It's this: "When rates are high, stocks will die. "..’ These lines hint us that when stocks are on their low, interest rates are on their high. Hence, option (b). Which of the following statements is/are FALSE in the context of the passage? (A) Economic growth in US, China, India, Japan and old European countries started to show a downward trend. (C) Skeptics firmly believe that economic growth is a boon from all the angles. All the three The first and the second sentence are a contradiction of what the passage says, hence false. There is no mention of the third point. We cannot assume it to be true. Therefore the correct option is (a). How do the stock values in Asian countries compare with that in the other countries of the global? Markets show a general rise in the indices all over the globe is the correct option. It is mentioned in very clear words in the passage. Which of the following is/are the reason(s) for the statement that 'Japan is now in golden cycle'? (A) It is an economic growth without much inflationary pressure. (B) Japan witnessed a substantial increase in corporate profits for the last four years. (C) There are more employment avenues open and consumer's spending has increased significantly. Point (B) and Point (C) are clearly mentioned in the passage as ‘..In Japan, corporate profits have climbed for four straight years and consumer spending is rising briskly on the back of declining unemployment..’ . So the best suited option is (c). This question is based on the main idea of the comprehension. We can get the hint of that from the second paragraph. Nowhere throughout the passage do we find the writer talking about poverty and peace. Hence the correct answer comes out to be option (d). Identify the correct antonym for the word Melancholy from the passage. Buoyant is characterized by liveliness and lightheartedness. Melancholy means sadness or depression of the spirits; gloom. Identify the meaning of the word in context ‘Skeptics’. Someone who habitually doubts accepted beliefs. Something declared or stated positively, often with no support or attempt at proof. Supreme in rank, power, or authority. Skeptics refers to someone who habitually doubts accepted beliefs. Want to explore more Reading Comprehensive Passage?